There are many ways to help, so get involved! Donate, attend our events, take your part in many volunteer activities! You can make an appointment by using the form below, or calling our Call Center (+381 11 2060777). NOTE: In both cases, you will be asked to provide medical insurance data for your child. For Serbian citizens it should be Serbian medical insurance card, while the passport is preferred otherwise. 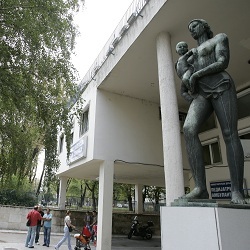 For patients with Serbian medical insurance, a primary doctor’s referral is also required. Working hours of the Call Center are from 7am to 3pm, Monday to Friday.